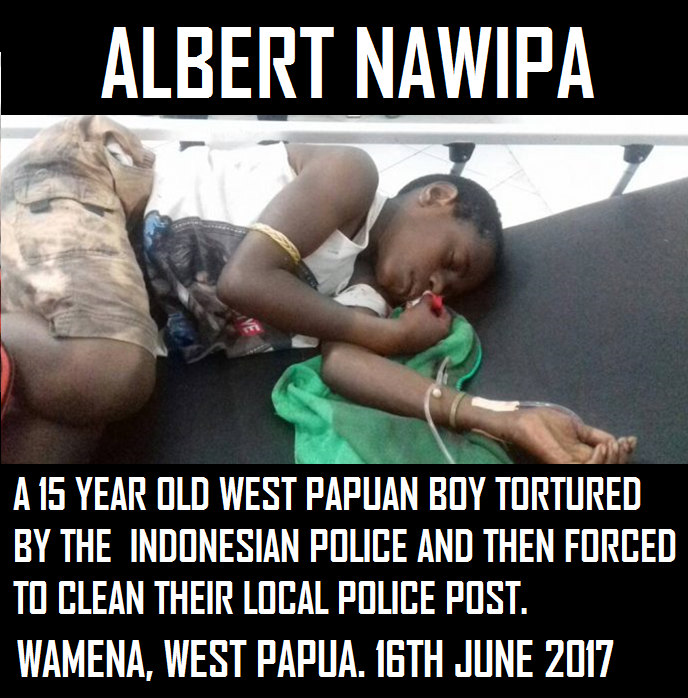 We have received urgent reports from West Papua that on 16th June 2017, Albert Nawipa, a 15 year old West Papuan boy was brutally tortured by the Indonesian police in Wamena. After being brutally tortured, Albert was then reportedly forced to clean the local police post at the market. He was saved by his parents but now remains in a serious condition in hospital. He was rendered unconscious left with severe bleeding, swelling and vomiting and remains unable to consume solid foods. We fully condemn this brutal human rights violation on another innocent young West Papuan boy and demand that this heinous act of torture is immediately investigated with the perpetrators brought to justice.